Patrick Dangerfield is set to be one of the biggest locks with his return to MID/FWD eligibility. Read on for more Crow goodness. It seems that most will be locking in Patrick Dangerfield ($534,700) from the start now that we can put him in the forward line again thanks to his MID/FWD eligibility. 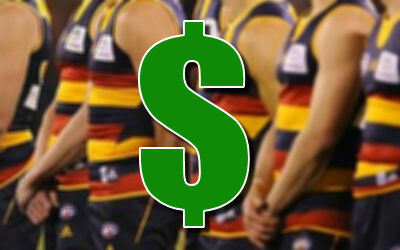 Matt Crouch ($203,200) has a massive fantasy game and he will be great value to pick up when he eventually gets a game. Dangerfield has gone from a borderline selection. And now because of the DPP, to a forward line must have. He will score more points this year because of J-Pod and Eddie being pickup. He will spend more time in the midfield hence more points.